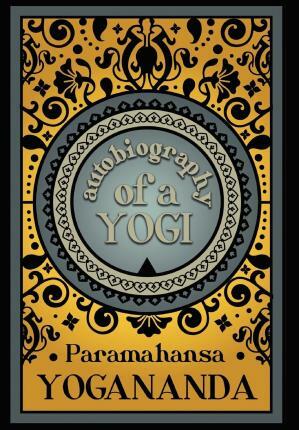 Autobiography of a Yogi is one of the 20th century's best-loved spiritual classics. This book is the original edition first published in 1946. It details the life of Paramahansa Yogananda - one of India's Spiritual guru's, who is often referred to particularly in the West as, the Father of Yoga. Yogananda chronicles his life's journey and his many encounters with spiritual luminaries such as Mahatma Gandhi, Rabindranath Tagore, Therese Neumann, and many more. The result is wondrous, and profoundly inspiring." On meeting Gandhi Yogananda observed.... "The tiny 100-pound saint radiated physical, mental, and spiritual health. His soft brown eyes shone with intelligence, sincerity, and discrimination; this statesman has matched wits and emerged the victor in a thousand legal, social, and political battles. No other leader in the world has attained the secure niche in the hearts of his people that Gandhi occupies for India's millions. In 1935 Yogananda travelled to Bavaria to meet Therese Neumann, the famous Catholic Mystic who was also a stigmatic. It is said that Neumann survived without food or water and her only intake was one consecrated sacred Host a day. At his meeting with Neumann, Yogananda asked.... "Don't you eat anything?" I wanted to hear the answer from her own lips. "No, except a consecrated rice-flour wafer, once every morning at six o'clock." "How large is the wafer?" "It is paper-thin, the size of a small coin." She added, "I take it for sacramental reasons; if it is unconsecrated, I am unable to swallow it." "Certainly you could not have lived on that, for twelve whole years?" "I live by God's light." How simple her reply, how Einsteinian! "I see you realize that energy flows to your body from the ether, sun, and air." A swift smile broke over her face. "I am so happy to know you understand how I live." "Your sacred life is a daily demonstration of the truth uttered by Christ: 'Man shall not live by bread, but by every word that proceedeth out of the mouth of God.'" In his foreword, Walter Evans-Wentz, the co-editor and translator of The Tibetan Book of the Dead observe; "The value of Yogananda's autobiography is greatly enhanced by the fact that it is one of the few books in English about the wise men of India which has been written, not by a journalist or foreigner, but by one of their own race and training - in short, a book about yogis by a yogi. As an eyewitness account of the extraordinary lives and powers of modern Hindu saints, the book has importance both timely and timeless. To its illustrious author, whom I have had the pleasure of knowing both in India and America, may every reader render due appreciation and gratitude. His unusual life-document is certainly one of the most revealing of the depths of the Hindu mind and heart, and of the spiritual wealth of India, ever to be published in the West.